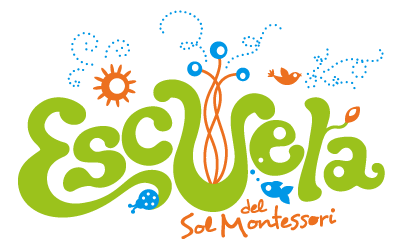 We designed Escuela's logo as a thriving organic eco system. It utilizes a custom hand-drawn font to underscore a focus on individuality. The primary tagline supports the school's nurturing brand ethos. 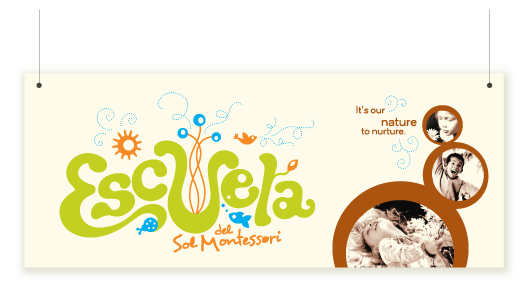 Escuela del Sol Montessori offers children an amazing holistic learning environment. 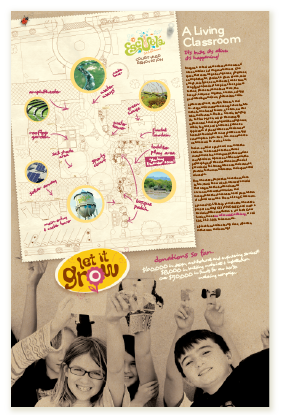 It's rooted in an approach that individualizes student's needs and activates curiosity and love of learning. After 30 years of building a successful elementary program, the school came to realize it wanted to better define and present their message internally, and find new and more effective ways to engage the community. 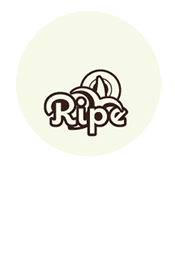 That's when they partnered with Ripe. A highly functional marketing system was created utilizing a combination of black on kraft templates for easy, low-cost in-house printing of everyday materials, plus full color pieces for more formal presentations with a longer shelf life. The solution supports their earth-friendly focus and offers endless flexibility. 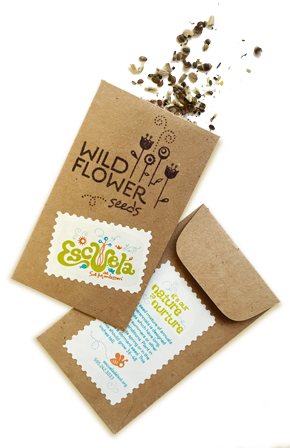 The logo design was expanded into a complete set of custom bugs (and flowers, fruit, birds, etc.) which are used throughout the communications system. 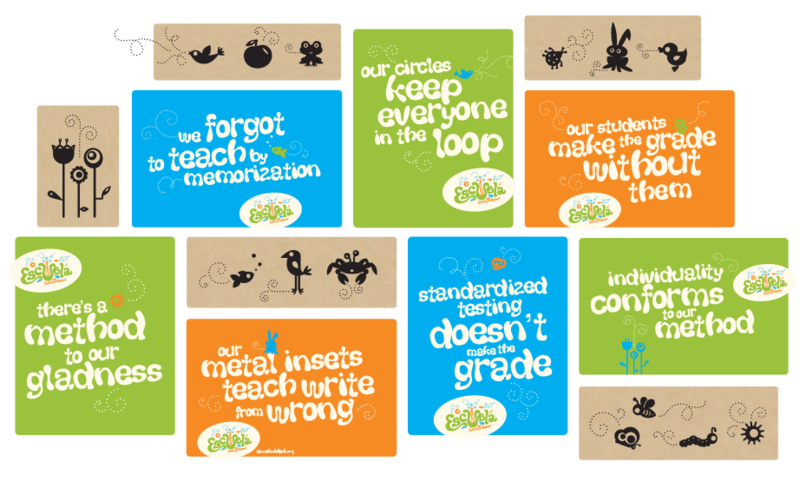 These critters are also paired with brand messaging that helps to educate the community about Montessori methods, terms and tools. Escuela del Sol & Harwood Art Center's dual anniversary party invitation. 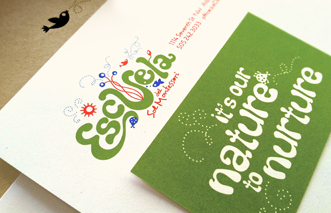 Escuela's 45th anniversary party invitation and poster. Uh-huh-huh! Art & Sol after school art program logo and marketing materials. Auction invitation and poster, styled after a Hollywood classic. "Frankly my dear, I don't give a damn". Auction promotion materials featuring a spy movie theme. Auction promotion materials themed after a Shakespeare play. 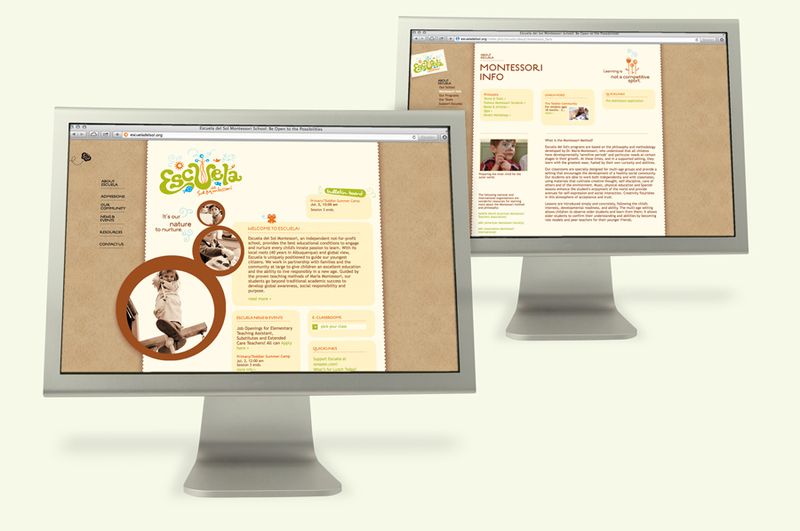 The branding elements were integrated into the website design, along with many functionality features: password protected e-classrooms, dynamic content, fully editable CMS, and multi-view calendar. The website has proven to be the most effective recruiting tool to date. The visual branding and educational messaging are the basis for a multi-media campaign including; print ads, direct mail, billboards, bus boards and an animated tv spot.